There is a thread that links Pope Francis’s international trips with Curia reform and even with the profile of new bishops – in the end, the real reform of Pope Francis. This thread outlines criteria provided by three keywords: periphery, decentralization, “pastorality”. These are the three main topics of Pope Francis’s pontificate – each with their pros and cons. 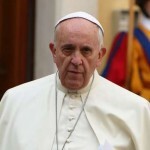 However, the recognition of these three criteria provides the pontificate with a third dimension, detaching it from the unpleasant reality that whoever expresses some criticism toward Pope Francis is perceived as opposing him, while only those who adhere to a certain line of thought are viewed as really understanding the pontificate. In the end, there is a very strong push to interpret this pontificate on progressive criteria, thus attributing to Pope Francis an ideology that does not fully belong to him. As is true of every pope, Pope Francis is neither a progressive nor a conservative. He is rather strongly rooted in his experience as Archbishop of Buenos Aires. Benedict XVI well epitomized this by describing Pope Francis as “the Pope of the pragmatic reform.” Pope Francis puts into action this pragmatic reform in three ways: by his choice of a new kind of bishop, by his selection of destinations for his international trips and by advancing curial reform. There is a key witness concerning the method Pope Francis is using to reform the Curia: Bishop Marcello Semeraro of Albano, Secretary of the Council of Cardinals. Bishop Semeraro published a long article in the Catholic magazine “Il Regno” in order to outline a sort of midterm report of the workings of the Council of Cardinals, which has by now met on 16 occasions and in 93 sessions. What then is the reform’s method? That of trial and error, wrote Bishop Semeraro. Usually, Vatican reforms follow from preparatory work providing changes to law and juridical structures. For this reason, earlier reforms were put into effect after years of study. Once the reforms were launched, however, they could be easily applied. Pope Francis wanted a completely different approach: instead of calling meetings that arrive at no conclusions – he did not even want to convoke a diocesan synod, according to his auxiliary Bishop Garcia – Pope Francis prefers to initiate an action once there is a broad consensus on the direction. For this reason, dicasteries under Pope Francis were first thought about, then established and only later given their statutes. Sometimes the latter were even adjusted when some of the changes proved to be a nonsense. This happened, for example, to the Secretariat for the Economy, led by Cardinal George Pell. The Secretariat for the Economy was a victim of this modus operandi consisting in gradual adjustments. When the statutes were subsequently modified, this was read as a “no-confidence vote” against Cardinal Pell, though the latest adjustments in fact strengthen Cardinal Pell’s position, since the competences of the Secretariat are better described and delimited, thanks to a new, clear juridical framework. Will this path of further adjustments also apply in the case of the new dicasteries? This remains to be seen. However, although the new dicasteries have been established and have received their statutes, they have not been formally included in “Pastor Bonus,” the Apostolic Constitution that regulates competences and tasks of the Curia. Even the way that the new dicasteries will work is yet to be seen. There is a criterion behind this modus operandi, too. Bishop Semeraro explained that the new dicasteries are actually named “dicasteries” so that no one thinks there are Class A and Class B dicasteries, as happened in the case of the Congregations and Pontifical Councils, whose distinction – the Council of Cardinals’ secretary explained – is based solely on how they were permitted to make decisions. Naming the dicasteries in this way also demonstrates the aim of decentralization, because it shows that the structure of the Curia is lighter and thus closer to the laity. Hence, too, the decision to name lay people to positions that are generally reserved to clergy, as in the case of the Number 2 post in a dicastery. So it is not by chance that the Secretariat for Communications includes lay people among its members, while the Prefect of the Secretariat, Msgr. Dario Edoardo Viganò, has recently been appointed a Member of the Congregation for Catholic Education and the Congregation for the Clergy. Prior to this, Members of Congregations have always been cardinals and bishops, a move that showed the collegiality between the Pope and Cardinals. Now Pope Francis is apparently working to extend collegiality closer to the lay people of God. The notion of people, in the Argentinian nuance of “pueblo,” and consequently in the notion of “theology of the people of God,” is central to Pope Francis’s vision. The rationale is then that of decentralization carried forward on the basis of trial and error, with a final goal but with no mid-term goals. It can be described as pastoral work elevated to the level of governmental decision-making. Probably, this modus operandi is the final subversion of Blessed Paul VI’s method. It was Paul VI who, after the Second Vatican Council, tried to bring a more collegial government into the Church through well-defined reforms, in order to apply the method of the Council but without creating uncertainties in the people of God. How can this criterion be applied to Pope Francis’s international trips? Cardinal Kurt Koch, President of the Pontifical Council for the Promotion of Christian Unity, explained it in an article for “L’Osservatore Romano” on the eve of Pope Francis’s trip to Georgia. Even in this case, the keyword is decentralizing, bringing peripheries to the center. In curial reform, the peripheries are represented by lay people and priests with no episcopal dignity. In the choice of international trips, the peripheries are represented by those places where Catholics are a minority, going top to bottom toward those who do not believe rather than toward those who already believe. The trip to Lund, for example, included a Mass with the Catholics of Sweden only after the trip was already planned – and after a lot of pressures – since Pope Francis’s first goal was that of being close to Lutherans and of practicing apostleship with them. Things must not be misunderstood. To Pope Francis, bringing the peripheries to the center does not mean creating a new center. Pope Francis aims instead at creating many centers for decision-making, with a sort of coordination among them, but also with a certain autonomy. How much this can work, is yet to be seen. Certainly, the Pope practices the “trial and error” modus operandi on these issues as well. 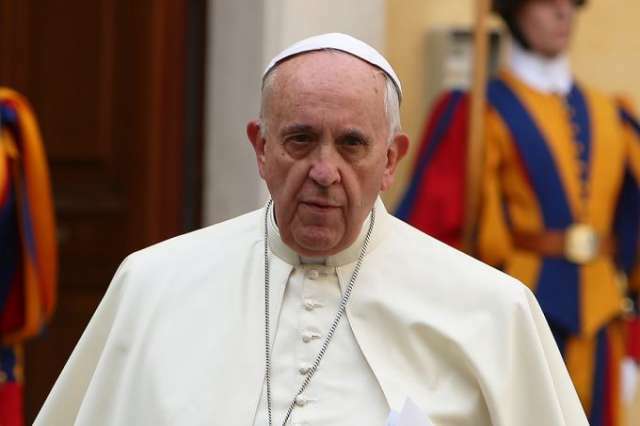 For this reason, the Pope’s recent controversial letter to an Argentinian bishop commenting on the application of “Amoris Laetitia” should perhaps not be read as an endorsement for Communion to the divorced and remarried – as the letter itself suggests. The Pope sees in the Argentinian document concerning the reception of “Amoris Laetitia” the promotion of a pastoral practice that brought the bishops of his homeland to encourage personal discernment. The letter sparked a lot of controversy. It is however noteworthy to remember that the letter was intended for private use, and the fact that it was leaked shows how strong are the forces that seek a change in theology. These people are the so-called “orphans of the Second Vatican Council,” who consider the Council a sort of “starting point” from which to reboot and restart Catholicism. Perhaps, those truly disappointed by the Council were those who worked to renew the Church without breaches with the Catholic tradition: these latter have been marginalized. Pope Francis does not love intellectual debates. On the issues concerning the interpretation of the Council, he stands more for the hermeneutic of continuity than with the hermeneutic of rupture, as his praise for the historical work of Archbishop Agostino Marchetto proves. Archbishop Marchetto called into doubt the general perception of a Council aimed at a rupture with Catholic theology spread by the so-called “Bologna School”. Nevertheless, on pastoral issues, those that really matter, Pope Francis is more favorable to the rupture. This is the reason Pope Francis’s primary commitment is that of changing the profile of bishops, and even that of the College of Cardinals. St. John Paul II’s big revolution consisted in his reshaping the model of bishops in the 27 years of his pontificate, and Pope Francis is trying to do the same, even transforming the composition of the College of Cardinals and bestowing new red hats on dioceses that never in the past would be thought of as being led by a cardinal. From trips, to curial reform to changes in the profile of bishops, everything is part of the same thread. This thread is the criterion necessary for understanding the rationale behind Pope Francis’s decisions. As to whether he was right, history will decide. Or perhaps the numbers will. And judging by numbers, there are those already who maintain that Pope Francis has failed. Writing in an op-ed piece in the New York Times, Matthew Schmitz recently noted that – despite a new media perception of the papacy – recent polls in the U.S. show that Catholics are not returning to Catholicism. Paradoxically, the revolution of mercy is good for the top officials of the Church, but it is not good for parishes, the first recipients of the revolution of mercy. These data are food for thought, too.